When President Trump wants to talk coal, he comes to West Virginia. So it was not surprising that the president visited Charleston just hours after his administration unveiled a long-awaited overhaul of the Obama administration's signature climate change regulation, the Clean Power Plan. Earlier that day the Environmental Protection Agency released the new Affordable Clean Energy rule, or ACE, to replace the Clean Power Plan. Trump supporters at his rally in Charleston, WV on Tuesday, Aug. 21, 2018. The new rule may be the Trump administration's largest action yet in its quest to end what it calls a “war on coal.” The administration has also rewritten parts of a federal rule on coal ash and it’s working on a plan to subsidize struggling coal plants. The president credits those measures with fueling a “coal comeback.” But industry experts and even the administration's own analysts see little evidence that Trump’s policy changes will alter the downward course for coal as it faces stiff competition in the energy market. Obama’s rule, which was never fully implemented, aimed to cut greenhouse gas emissions from power plants by one-third over the coming decades in an effort to stem the effects of climate change. The rule took a broad approach and encouraged states to shift electricity generation away from coal toward cleaner natural gas and renewable energy. It also drew sharp criticism from industry groups and more than half the states in the country. The new proposal places the onus on states to decide how to reduce emissions from coal-fired power plants. Bill Wehrum, assistant administrator for EPA’s Office of Air and Radiation, told reporters during a press call that the ACE rule aims to “redefine the relationship and relative roles and responsibilities” of federal and state government. The draft proposal has been praised by industry supporters and many Republican lawmakers around the Ohio Valley. Chris Hamilton with the West Virginia Coal Association said coal’s outlook has brightened with the proposal of the ACE rule. Industry analysts and experts said the replacement regulation has very little chance of bringing the coal industry back across the Ohio Valley, a promise Trump continues to make. This is largely because the rule focuses on keeping current coal-fired power plants running longer, but encouraging state regulators to work with utilities to install heat-rate upgrades to make operations more efficient. The challenge for coal plant operators will be still netting a profit after pouring millions of dollars into facilities in the form of efficiency upgrades. “If a utility could make more money by improving the efficiency of their coal-fired power plant, presumably they already would have done it,” said Trevor Houser, a partner at the independent research company Rhodium Group. Houser is also skeptical of the president’s claim that the new rule will save electricity consumers money. In regulated power markets -- places where utilities are guaranteed a profit -- Houser said electricity customers could see their bills rise as they foot the bills for expensive upgrades. In other places where electricity is sold onto the open market, power plants could close, because the amount of money they would need to make for their power would have to go up. 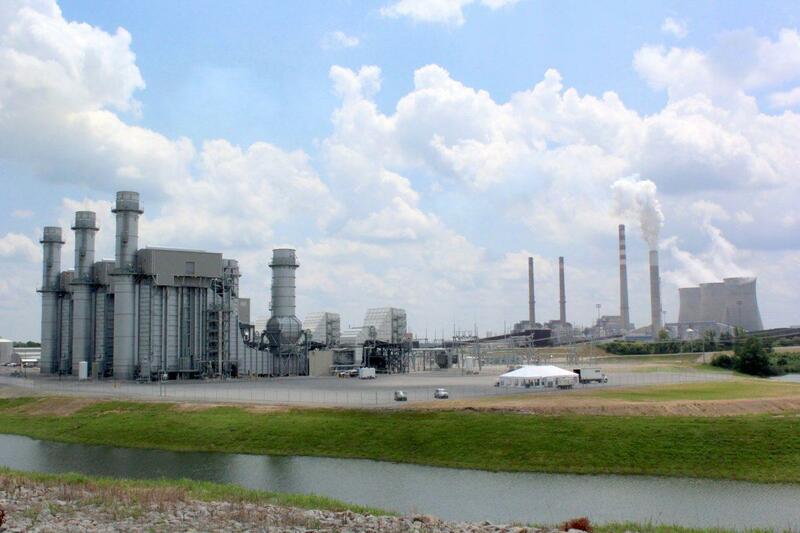 TVA's new gas-fired facility, with the older coal units in the background. 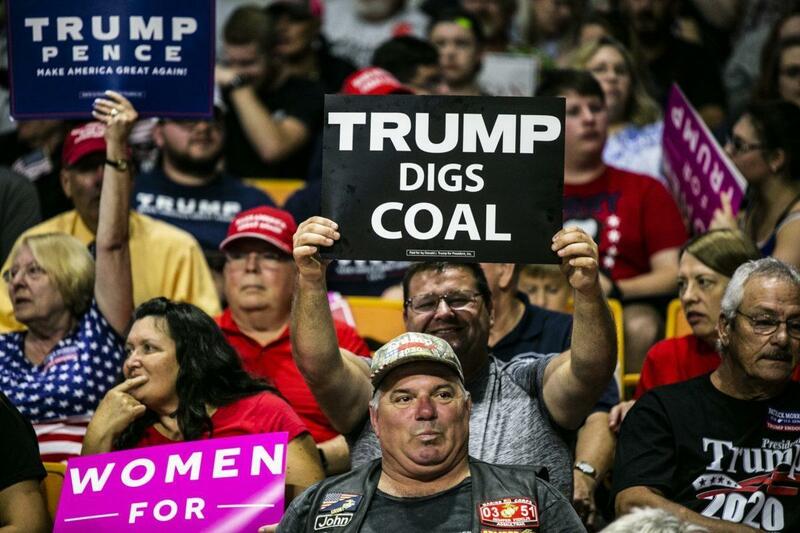 He said in a world with low natural gas prices and rapidly falling costs for renewable energy generation, it’s extremely hard to make the economics work for coal. 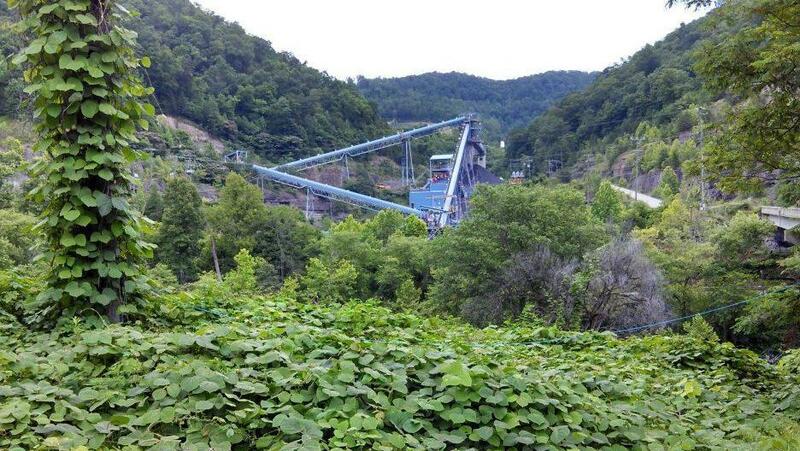 The Ohio Valley’s coal industry faces additional challenges. Mining in the region has been ongoing for generations. The easy to get seams have been mined, which means it costs more to extract coal here. These realities were echoed in a recent report released by West Virginia University’s Bureau of Business and Economic Research. The economic forecast predicted the current uptick in West Virginia coal production -- about 27 percent since mid-2016 driven largely by exports of metallurgical coal -- will level out in the next two years. From 2020 through 2040, the analysts expect production to continue to drop, hitting 66 million tons by 2040, a 17 percent decline from 2016. Report co-author Brian Lego said federal coal data can show, to an extent, the impact of federal regulations. He said stricter requirements by the EPA, namely the 2015 Mercury and Air Toxics Standards, have played a role in the industry’s decline over the last decade. But natural gas is by far the larger factor. As for the impacts of the new ACE rule, Lego said he does not expect it to change the overall trajectory. “In terms of the competitiveness of coal compared to natural gas over the longer term, that is something that would require a much more significant change in the policy rules,” he said. Beyond the administration’s rhetoric, the EPA’s analysis of its own rule acknowledges that the proposal has a limited ability to help the coal industry. Wehrum, the EPA assistant administrator, said the agency expects to achieve reductions in greenhouse gas emissions comparable to those form the Obama rule. This is largely due to the shift the power sector has already undergone toward natural gas and renewable energy, he said. In the agency's own in-depth analysis of the rule, EPA predicts the amount of coal produced in the U.S. is expected to decrease across the board. Under the proposed ACE rule, some outcomes are expected to shift dramatically including impacts to human health, according to EPA’s analysis. The agency estimates as many as 1,400 people each year could die prematurely of heart and lung disease, linked to exposure of fine soot particles released from smokestacks. Cases of asthma and other respiratory diseases could increase by 15,000. While many utilities welcomed the ACE rule, they don’t appear to be re-thinking their plans for coal-fired power. A spokesperson for Dominion Energy, which operates seven coal-fired power plants in Virginia and West Virginia, said the company is sticking with its strategy to install more renewable energy and reduce coal generation. American Electric Power told S&P Global it does not intend to change its current plan, which is to focus on modernizing the energy grid, expanding renewable energy, and reducing carbon emissions. FirstEnergy Corp. spokesperson Jennifer Young said the company is still reviewing the proposed rule to determine its impacts on the Harrison and Fort Martin power plants in West Virginia. 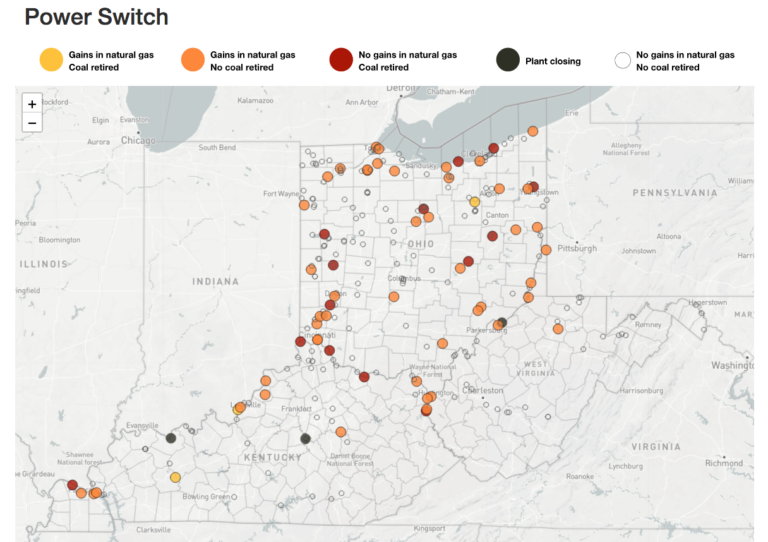 She said the company support’s EPA’s move to give states more latitude in regulating power plant emissions, but added FirstEnergy has already made significant reductions. “Like the rest of the industry, we have already achieved significant reductions in CO2 emissions since 2005 and expect to continue to reduce emissions going forward,” Young wrote. In a statement, Chris Perry, president and CEO of the Kentucky Association of Electric Cooperatives said the new proposal is encouraging. Three coal-fired power plants, two in Kentucky and one in West Virginia, are still slated to close by 2020. Partner station WVPB reporter Roxy Todd contributed to this story. Read this story and more on the website of our partner, West Virginia Public Broadcasting. A former elected Pennsylvania state treasurer was sentenced Tuesday to 2½ years in federal prison for trying to squeeze campaign cash from a law firm and a property management firm during his failed 2014 bid for governor. What Would It Take To Offer Free Public College In Pennsylvania? For some, free college is still an outrageous idea, but legislation introduced in June aims to supply just that. Sixty surveillance cameras have been installed in Oakland around the University of Pittsburgh campus and residential areas. The cameras are in part a response to the murder last year of Pitt student Alina Sheyket in her Oakland apartment, at the hands of her estranged ex-boyfriend.